Testers who live with disabilities test differently than testers who don’t. 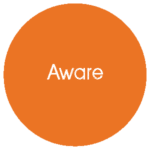 That’s why WeCo trains Testers across all disability classifications: cognitive, hearing, motor skill and sight, to test website, software or mobile applications. You’ll see a difference in the real life usability of your projects with WeCo’s user-focused approach. Whether you’re starting an accessibility initiative, launching a new website, or responding to website complaints, a WeCo Free Accessibility Review can help you understand how accessible your website or software is today AND decide what to do next to make it accessible. To request your Free Accessibility Needs Review, contact WeCo’s Accessibility Services Department at: accessinfo@theweco.com or 855-849-5050 x1. Or use our contact form. WeCo’s Access Check-In® Service is designed to give you quick feedback on your website, software or mobile application. Tested by a WeCo tester who live with one or more disability, you’ll receive a report with “in their own words” feedback. Great for agile and other development processes. Access Check-In® guides your changes in an informed manner. It allows development teams to learn and experiment with what works and what does not. 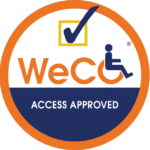 WeCo’s Access Approved® testing services verify your website or project against current US and international accessibility laws and guidance (WCAG 2.0/2.1 AA) and WeCo’s Own Standards of Accessibility®. 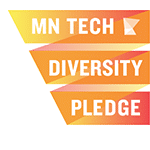 We use a hand-selected group of six WeCo Testers, and our team of Accessibility Specialists who live with, and understand, accessibility in a very personal way–they live it everyday.